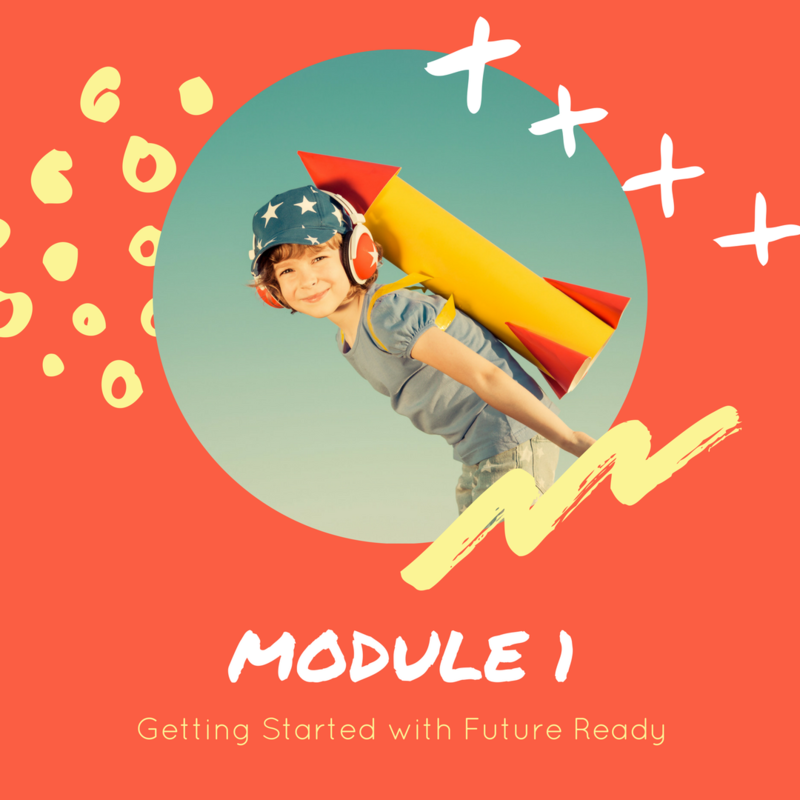 For the independent studio, you will be taking time to read, explore and learn more about what it means to become a future ready school or classroom. The infographic below comes from the www.futureready.org website. 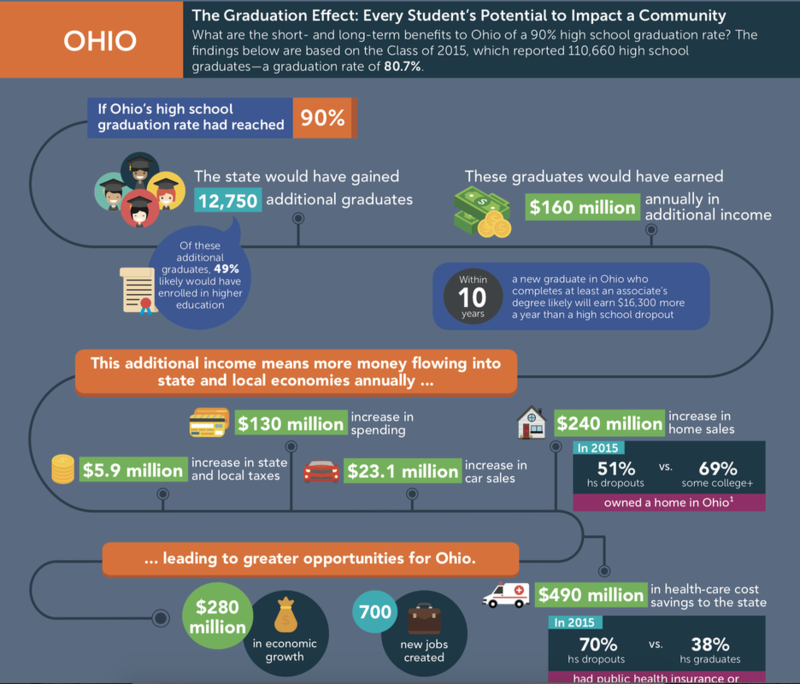 The graphic is showcasing the short and long term benefits of Ohio students graduating from High School. For this independent activity, take a moment to explore the data. What stands out to you the most. Leave a question and or comment about one of the areas that you find most interesting on the Padlet, located at the bottom of this page. Next try to generate one idea on how we can encourage students to stay in school or what we can do as an institution to make sure students graduate. Articles to read that go along with planning and developing an overview of the future ready classroom. Welcome to the Showcase Studio! Think of the Showcase Studio as an opportunity for you to find your passion and develop a project that showcase one of two key elements that you have learned about from the Independent Studio and the Digital Learning Studio. 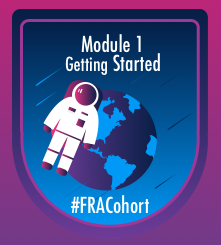 You can also find your own resources to add into the project as well. For this Showcase Studio, we will provide you with a couple of tech tool options and mystery item(s) that we would like to see in your final product. I like to call this my Chopped Showcase Studio that resembles the Chopped Cooking show. When you are finished please share and post a reflection to the group Padlet found at the bottom of the page. Create a passion project about what a future ready classroom would look like from the eyes of the learner.